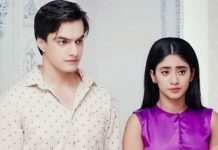 YRKKH Naira gains Kartik Support. Naira and Dadi have a huge clash, when Purushottam’s truth comes out. Dadi doesn’t want Naira so stain the family respect. Everyone sings and dances in Gayu and Samarth’s Mehendi function. Naira decides to tell Purushottam’s truth to Kartik, when she learns about Mansi’s past. She wants to support Mansi and get her rid of the long fears. Naira wants Purushottam to react on seeing her dance, so that he commits some mistake and gets caught. Naira collects a proof against Purushottam. She then reveals his ugly truth to Kartik. Dadi wants to stop Naira and Mansi from exposing her brother. Kartik doesn’t question Naira and totally believes her. Naira then tells him about Mansi, who has tolerated a lot in the past. Kartik gets shattered knowing Purushottam’s misdeeds. He consoles Mansi and asks her why did she not tell him the truth before. He gives her strength. He assures that Naira and he are with her now and they will expose Purushottam’s truth. He tells Mansi that Naira told him the complete truth, and she has to remember that she isn’t weak. 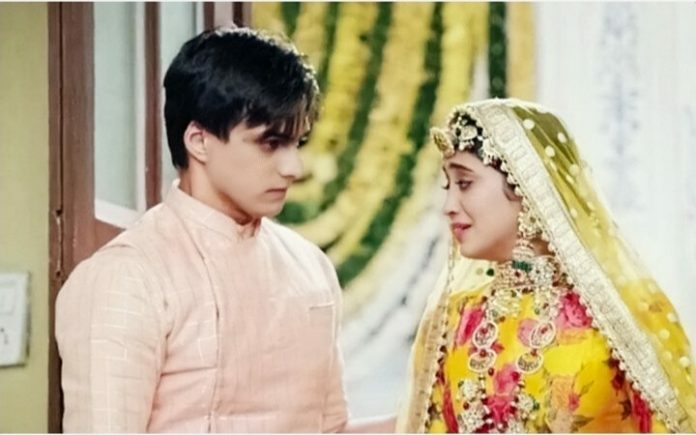 Kartik and Naira plan to expose Purushottam’s dirty face in Samarth’s bachelor’s party. They also get Mansi in the party and lay a trap for Purushottam. They announce the masquerade party and tells them that the unique game will give them a chance to do mischief. Purushottam gets excited to plan his mischief. He then learns Naira’s plans and backfires it. He frames Naira in her own plan and sheds crocodile tears to gain sympathy. He wins the game and tells Ila how Naira is trying to malign his image. Ila fumes on Naira for disrespecting Purushottam. Dil Toh Happy: Happy tells Shaan that he can’t own her, even when he can own the hotel. She asks Shaan to stay away from her. She doesn’t want to stay with Shaan. She decides to leave the house. Rocky/Shaan tells her that he doesn’t accept her resignation, she still has to work for him. She tells him that its her right to resign which she has done. She asks him to do what he wants with the hotel. He clears out that she can’t leave him all the time in this manner, she has to listen to him. Happy wants to follow her own path. He tells her that she can’t leave the hotel on her terms. She tells him that she isn’t his slave and she isn’t helpless to follow his orders. Happy gives him a good answer. RV warns Shaan against hurting Happy. RV is in love with Happy. He tells Shaan that he will be in danger if he makes Happy cry. He protects Happy and stands against Shaan. RV wants to find some way to keep Happy in his business. Rocky isn’t scared of RV’s threatening. He tells RV that he wants to see what can RV do against him. He asks RV to prove his capabilities and challenges him.